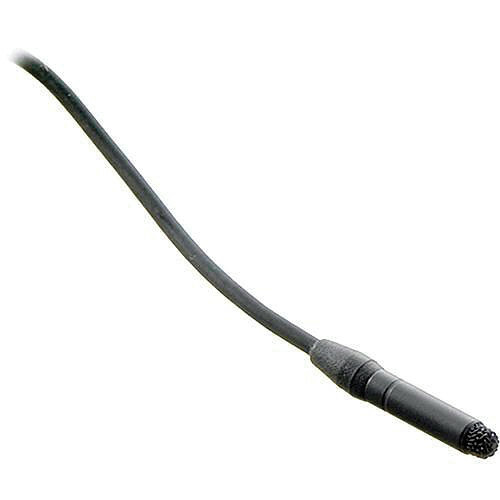 The black COS-11D Omni Lavalier Mic, Normal Sens, with Hardwired TA4F Connector for Shure Wireless Transmitter by Sanken is for capturing audio. It is designed to be used for various applications such as broadcast TV, theater, film, videographers, and more. Furthermore, an improved water-resistant mesh screen protects against humidity, perspiration, makeup, bad weather, etc. This COS-11D terminates in a TA4F connector and is wired for use with Shure BLX1, GLXD1, FP1, PGXD1, SLX1, UR1, and ULX1 transmitters. Accessories are sold separately and are not included with the microphone. Box Dimensions (LxWxH) 4.8 x 2.8 x 0.5"
COS-11D Omni Lavalier Mic, Normal Sens, Hardwired TA4F Connector for Shure Wireless Transmitter (No Accessories, Black) is rated 4.0 out of 5 by 1. Rated 4 out of 5 by Lennon A. from not just for video This mic has a very natural sound. I prefer it over the MKE-2 from sennheiser. It is about the same size as the MKE but a little longer. I use it for PA in large worship environment that has about a five second delay and plenty of hard surfaces. There are a few offending frequencies that have to be cut due to the room, but it performs well and is very intelligible with no worry of feedback. Also displays less proximity effect than the MKE. Great for video as well.